There are often things I want to look at on my laptop in the dark. Sometimes I want to write nasty things about my dirty uncle, other time I want to look at naked orang-utans flinging muck at each other. 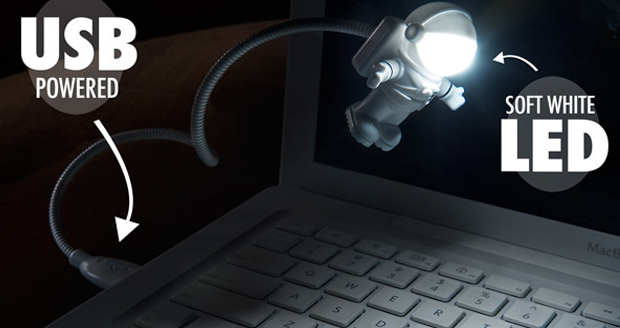 If you like to look at stuff on your laptop in the dark, but your fingers do a massive wrong-plop all over your keyboard because you can’t see, then you need a Spaceman USB Light. 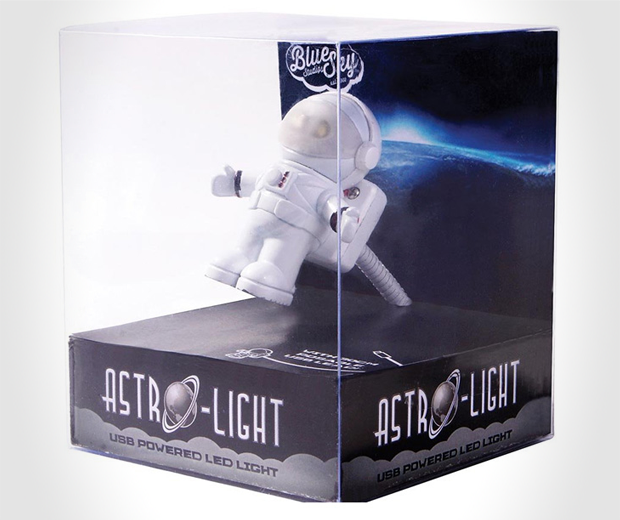 This handy little fellow plugs into your USB port and lights up your laptop and your life with his LED light, handily hidden behind a closeable visor for when you need a little bit of secrecy. 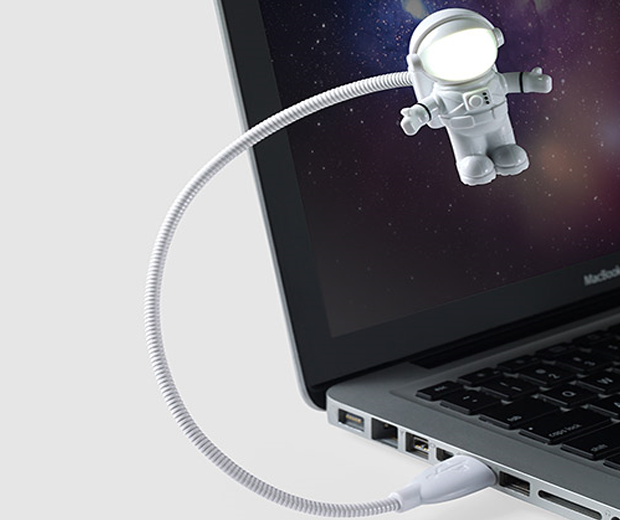 The cable can flex to adjust the spaceman’s position, allowing you to see anything you like around your laptop, be it your keyboard, your winky, or your cup of tea when half a digestive has fallen inside.